I travel. Quite a bit. And I’m no stranger to unusual ‘bring back’ requests, but this was the first time I’d been asked to bring back cider vinegar from Ireland. And not just Ireland, but from a specific market in Dublin. I could quite easily have said a) I couldn’t find it or b) I didn’t make it to that part of town or c) I couldn’t be arsed – but I didn’t. And I didn’t in part because I was curious to see where they were sending me. And also what they were sending me for. Llewellyn’s Cider Vinegar no less… I’d never heard of it. Among other things, apparently ‘cider vinegar has long been considered beneficial to horses, but it is only recently that scientific evidence has emerged that it seems to improve milk quality in milking cows.’ Imagine that. It’s been quite a while since I had a Saturday morning to roam around Dublin – so long in fact that the place has changed immeasurably. The whole Temple Bar evolution passed me by as I (quite wrongly, as it turns out) felt that that part of town was strictly tourist territory, to be avoided at all costs. 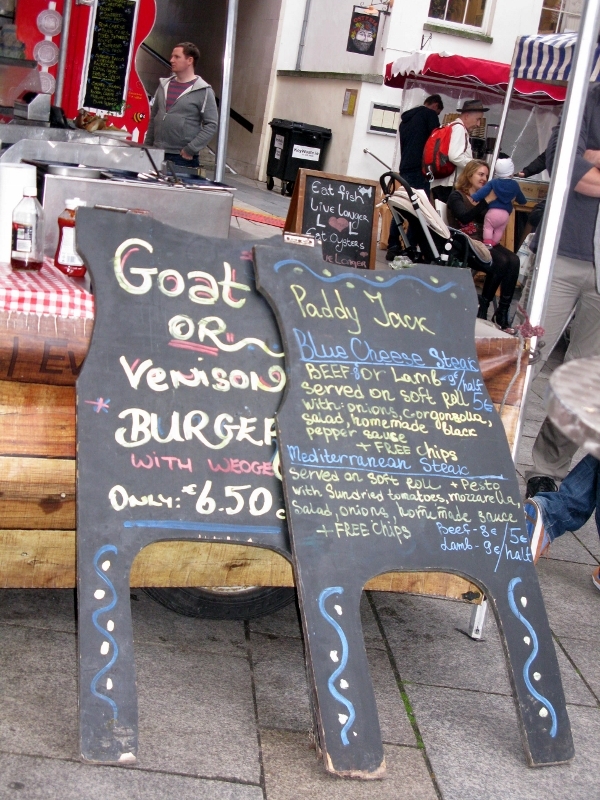 My destination was the Temple Bar Food Market in Meeting House Square. Thankfully, I had a local guide as I’m not sure I was in possession of the faculties needed to find the place on my own, given that it was the morning after the night before. As we strolled through the cobblestoned streets, I had flashbacks to nights spent in Bad Bobs and the Oliver St John Gogarty. I noted with surprise the diversity of shops and the distinct lack of twee-ness about their wares. Has the tourist tat been barred from the Bar? The market itself was impressive. 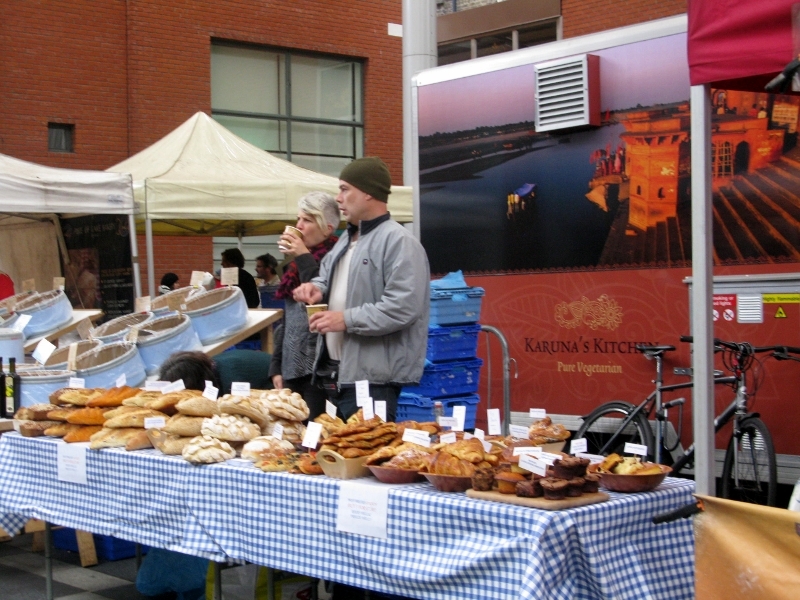 Lots of freshly baked breads and scones and cakes with fresh smoothies and even an oyster bar. I was impressed by the burgers and wishing I was on carb day. There was an international flavour to it all with French crepes and an Asian noodle bar which all sat nicely with the home-grown fruit and veg (bloody massive turnips!) and the hand-turned cheeses. 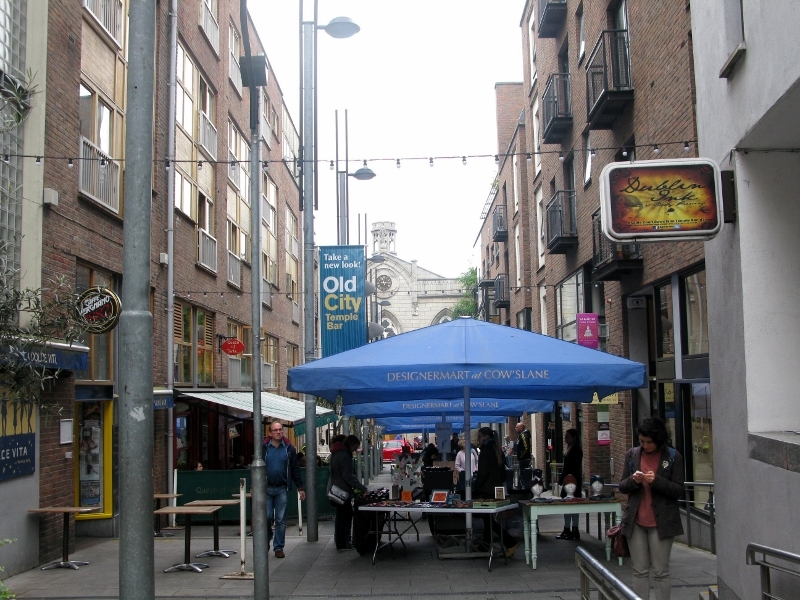 Yes, were I living in Dublin, I could well see myself dropping in here quite regularly on a Saturday morning to pick up a few things – including a bottle of cider vinegar! How ever did I live my life without it? With time to spare before our brunch date (sounds posh but we were on the Southside and one simply must do as one does!) we ambled up to Cow’s Lane to the Designer Market and again, I was impressed by the quality of what was on offer and the reasonable prices. Some of these Irish artists are quite clever! Had they taken credit cards, I could have done some damage. Does the cash-strapped purse so peculiar to the morning after the night before sound familiar? The sign exhorting me to take a new look at the old city hit its mark. I was looking and I was impressed (how many times can I use that word in one blog?). On our way to Cow’s Lane, we passed an outdoor exhibition space – which really was just a fence with a load of posters on it. On closer inspection though, it gave me plenty to think about. 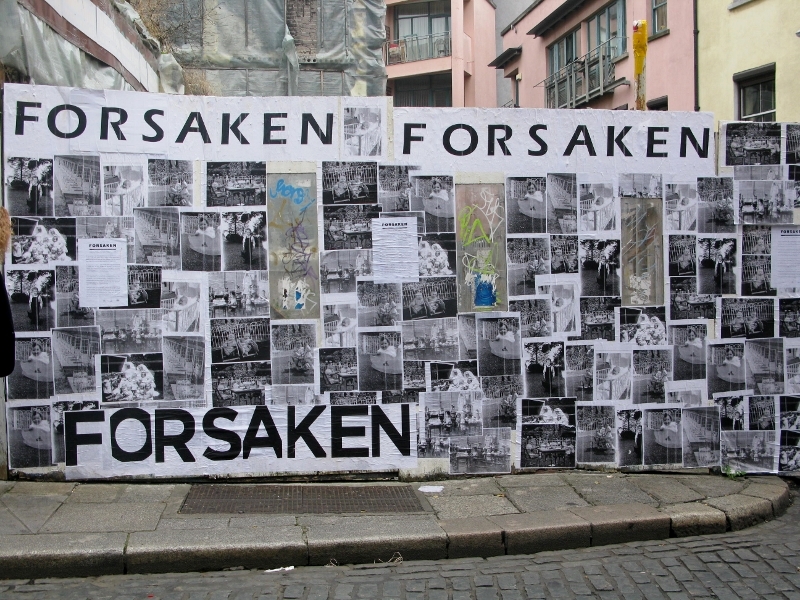 The recent scandals in Ireland about the mother and baby homes was quite heart-breaking and seeing these old photos posterised (is that even a word?) drove it home. 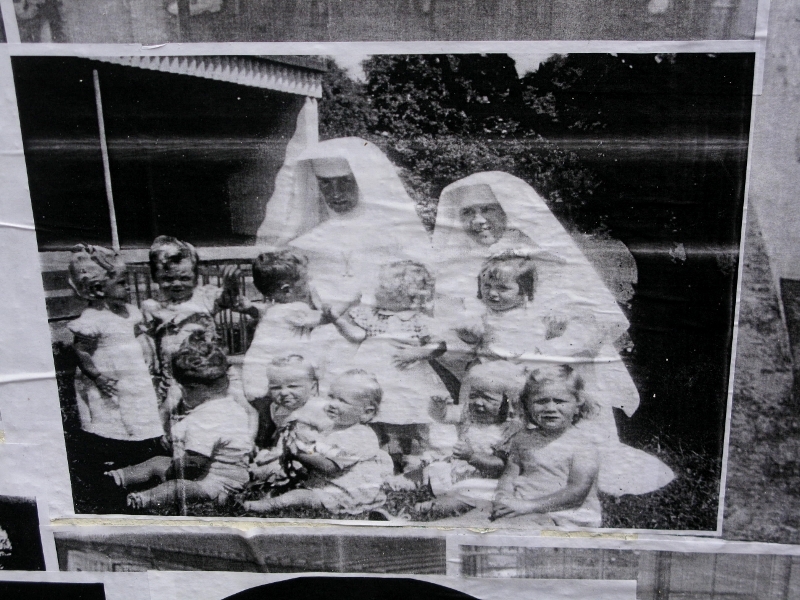 The homes and the Magdalen Laundries were a bleak part of Irish history. It’s mission is to ‘dignify and return individuality to people who were victimised by harsh and unforgiving institutions’. It said that ‘Irish society also needs to take responsibility for the silence and the indifference which allowed such horrors to be perpetrated in plain sight in so many villages, towns and cities throughout the country’. Sobering thoughts indeed for a Saturday. 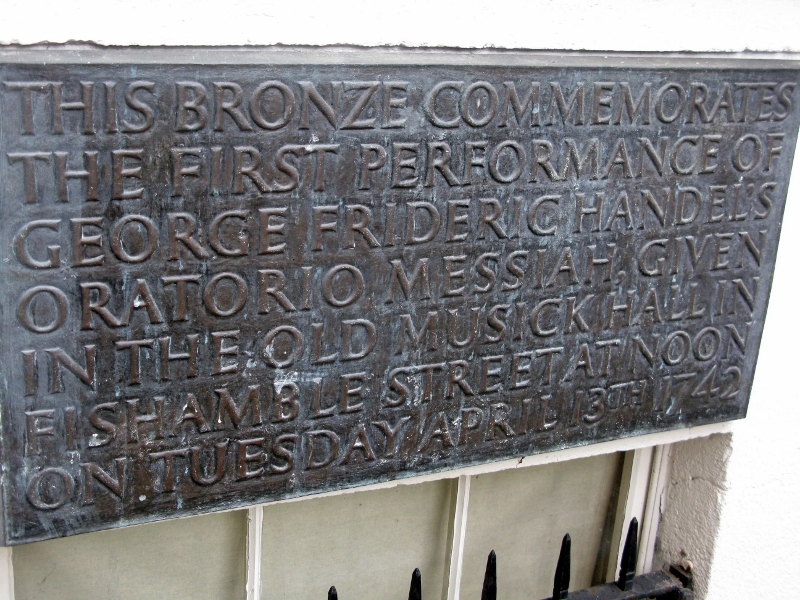 Seeing as we were up that way anyway, we detoured to see where Handel first performed his Messiah back in 1742 (did you know he composed it in just 24 days?). I had some vague recollection of seeing the organ on which he played many moons ago on a school tour but I didn’t remember walking down Fishamble Street. 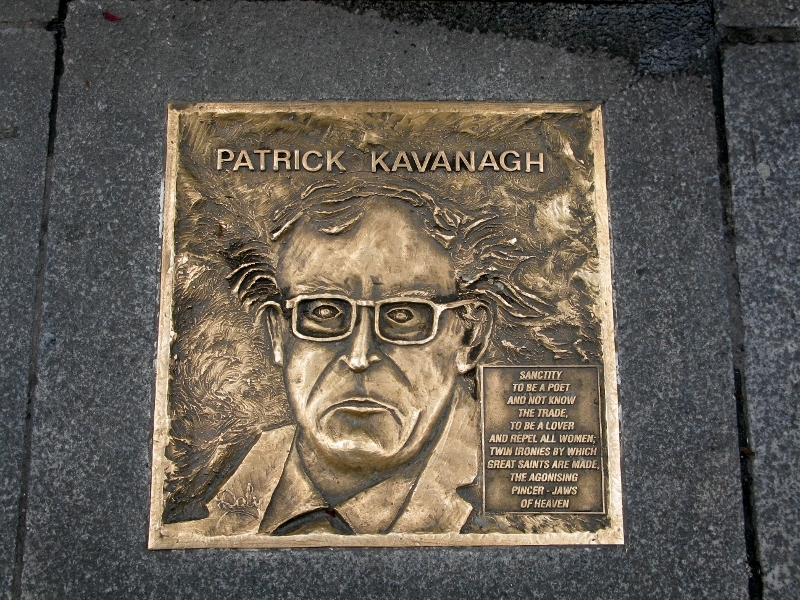 I felt some vague stirrings of pride that were amplified when, some time later, I looked down to see a series of brass plaques in the ground commemorating some of our more famous writers. And to think I’d only come out looking for a bottle of vinegar! Nice post. It is always interesting how seemingly trivial events may send each of us into a journey of discovery. But you really do have me curious…. 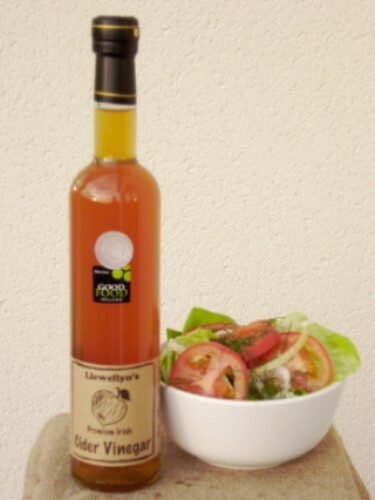 Is Llewellyn’s Cider Vinegar *really* that good?